Professor Mrs. Najma Akhtar, has been appointed as first Women Vice Chancellor of Jamia Milia Islamia University by the President of India. 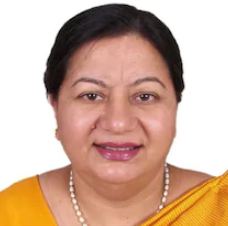 Professor Mrs. Najma Akhtar has been appointed as first Women Vice Chancellor of Jamia Milia Islamia University by the President of India. She is currently serving as Professor& Head Dept. of Training and Capacity Building in Education, NIEPA.